See how the Michelin’s latest high-performance street tire performs in the Michelin Power Pure Tire Review Video. The words “performance gains” can mean different things to different riders. Higher mileage and more traction are the usual suspects when this phrase is used in the fiercely competitive tire brand battles. Subsequently, the Holy Grail of performance would be a single tire that could achieve that elevated level in both areas. Ah, but wait, there lies another performance attribute that is arguably the most powerful of all… Weight. Ever look at an off-road truck tire with boulder-swallowing tread depths and ponder why your seemingly shallow new motorcycle tire cannot borrow some of that deeper rubbery goodness? Well, rest assured there is no secret society of tire manufacturers whittling away at tread depths to keep you buying tires more frequently. The main reason is weight, pure and simple. Add more depth and life to a tire, and you add more of the evil that is unsprung weight. Finding a balance is the key. That better way was crafted at Michelin’s lab deep in the French countryside of Clermont-Ferrand. There it concocted Light Tire Technology (LTT) with exotic aramid fibers, as well as Two Compound Technology (2CT) which utilizes a harder compound center and a softer compound blend on the shoulders. Both LTT and 2CT technologies were implemented into what it heralds as the lightest dual-compound motorcycle tire ever, the Power Pure. 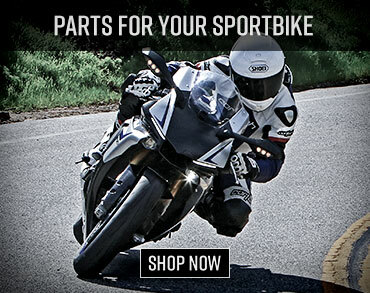 The Michelin Power Pure tires are available in a wide range of sizes for most street and sportbikes. Now without diving into Einstein’s General Relativity theory, it basically sums up that rotational mass is bad for motorcycling business (good for business if your business is lessening that mass, i.e. exotic brake rotors, carbon/magnesium wheels… and now tires). So with crazed Michelin scientists at the helm, it managed to reduce the weight of its Hypersport category tires by two pounds per set compared to other major brands. Come On, What’s Two Pounds Really? Now let’s take it to the streets and see if the Michelin Man’s Power Pure offerings are up to all the hype. With a set of Power Pure 120/70ZR-17 and 180/55ZR-17 fresh off the FedEx truck we mounted them onto our 2011 Suzuki GSXR-600 with air pressure set at 31 psi (cold) front and back. Our route led us on some of San Diego counties most hairball canyon roads. It was a mild spring day with the mercury in the mid-70s. After a lengthy jaunt through the hills we progressively pushed the limits of the rear tire with heavy corner entry slides and aggressive throttle heavy exits. The overall grip performance was impressive for a street breed tire. Where most “sport” and “hypersport” tires developed for the street depart from its track-oriented brethren is in the ability to maintain that high-grip level over a prolonged period of hard use. These tires held in there and ate whatever we dished out for the street portion and at no time felt greasy from heat overload. The ride quality of the Power Pure’s wrapped around our Gixxer 6 was awesome, offering a stiff enough carcass to give good rider feedback without punishing the body on long stints on the dredges of the 5 freeway. In comparison with Bridgestone’s Battlax BT-016 and Dunlop’s Sportmax Q2, the Power Pure has a softer feeling sidewall and offered a high-level of feel. Initial warm-up time was also excellent and it’s reassuring to know that these tires get up to temperature quickly. 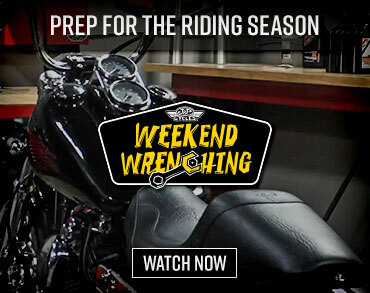 (Center) The shoulder of the rear tire features no tread sipes in order to maximize the rubber contact patch at lean. One of Michelin’s goals was to try and blend the best of both worlds with its dual-compound technology. Though we have not put a heavy dose of mileage on our Power Pures as of yet, I can say so far that the overall wear is looking great at the 600 mile mark. Also of note is the evenness of the wear from center to shoulders. No freeway flat spots, and no haggard wear-bar shoulders. 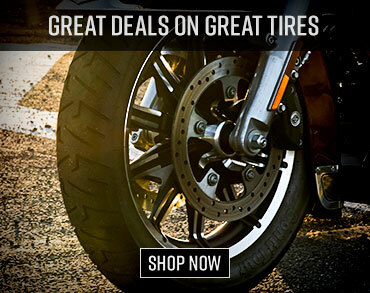 If you’re looking for a high-performance sportbike tire that not only offers a high-level of grip but can also improve the handling of your bike, you should check out the Michelin Power Pures.